When will be Jamie's Family Super Foods next episode air date? Is Jamie's Family Super Foods renewed or cancelled? Where to countdown Jamie's Family Super Foods air dates? Is Jamie's Family Super Foods worth watching? 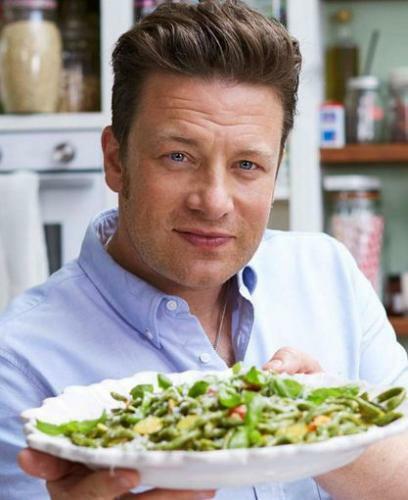 Jamie Oliver heads abroad to find the best super food ingredients to use in favourite family recipes. In the first episode, he visits Sardinia and Jeju island in South Korea, where he explores the variety of fermented kimchi - the country's national dish. Jamie Oliver travels to Jeju island in South Korea, where he experiences first-hand the shellfish diving skills of women twice his age. And in the beautiful mountains of Switzerland he discovers how important the humble apple is to the Swiss diet. Back at home, Jamie cooks a day's worth of super nutritious recipes inspired by his travels. There's blueberry breakfast doughnuts that look so indulgent, you'd be forgiven for not believing it's a super healthy start to the day. For lunch, mineral rich mussels are invigorated with pesto, tomatoes and courgettes. And dinner sees apples with pork meatballs for a perfect family meal. In this episode, Jamie Oliver sees how local citrus fruit enhances the fresh fish netted in the turquoise waters off Sardinia. In the stunning quiet of a volcanic forest on Jeju island in South Korea, Jamie discovers the perfect place for shiitake mushrooms to flourish. Back home, Jamie makes an ingenious, colourful toasted bread to go with spinach, cheese and eggs for breakfast. There's a colourful salad for lunch, and shiitake mushrooms and chicken combine for a spicy Balinese curry for dinner. Jamie Oliver meets one of the oldest people in the world in South Korea and learns about her diet of nutrient-rich, home grown vegetables. In the mountains of Switzerland he goes looking for healthy grains. Back home, Jamie shows how one well-known supermarket super food can be used to create numerous, nutritious and delicious breakfasts with 'avocado 4 ways'. He breaks out the colourful veggies to enhance some chicken fajitas for lunch. And adds barley to a beef and Guinness stew for dinner. Jamie's Family Super Foods next episode air date provides TVMaze for you. EpisoDate.com is your TV show guide to Countdown Jamie's Family Super Foods Episode Air Dates and to stay in touch with Jamie's Family Super Foods next episode Air Date and your others favorite TV Shows. Add the shows you like to a "Watchlist" and let the site take it from there.